Anyone who would like to work as a radiology technician or a medical sonographer can benefit from earning a Bachelor's in Radiology. Four-year undergraduate radiologic science programs help to prepare students beyond just introductory curriculum and topics. While there are lists and lists of programs that students can choose from, many prospective Bachelor's students are interested in learning more about online options. Perhaps one of the biggest reasons that medical professionals who specialize in radiologic science should ever consider earning a Bachelor's is to stand out among all of the competition. Students are graduating for certificate programs and associate's degree programs every year. The more graduates, the more competition a prospective technologist will face. Approximately 60 percent of technologists possess a 2-year associate's degree. Another 21 percent of professionals possess a certificate from a 1 to 2-year certificate program. With a Bachelor's degree in Radiology, graduates will have more education and therefore they will be more qualified for positions right out of school. According to data compiled by the American Society of Radiologic Technologists, only 16 percent of those competing for positions today hold their Bachelor's. The American Registry of Radiologic Technologists is a credentialing organization in charge of granting certificates to radiologists. The AART has very strict credentialing requirements that radiologist technicians must meet before they can get certified saying they are competent and well trained. Education is one of the most popular ways that graduates can qualify for credentialing. All applicants must have the minimum of an Associate's degree to qualify for the primary pathway to become a radiology technician. With a Bachelor's, technicians are then qualified to apply to become a registered radiologist assistant. Salaries within radiologic technology range dramatically. Since a majority of technologists only possess an associate's degree, it can stifle their earning potential. With a Bachelor's, technologists earn between $51,316 and $53,967 per year. Registered radiology assistants earn between $90,076 and $112,615. Only 4-year degree holders can become registered radiology assistants. Students can work days or nights as a radiology technology while trying to pursue their RRA licensure. Since they would need to have a minimum of a Bachelor's before applying, it is important to find a way to balance work and school. The easiest way to earn an accredited degree and work is to study online. There are plenty of ways technologists can specialize their careers. To become a specialist, an RT would need to complete additional coursework. With a Bachelor of Science, the coursework can be focused on a specialization like sonography, nuclear medicine, magnetic resonance imaging, quality assurance, computerized tomography, and radiation therapy. There are many different paths for students to take in the healthcare field. Students can earn a 4-year degree, earn a sizable salary, and still work directly with patients. 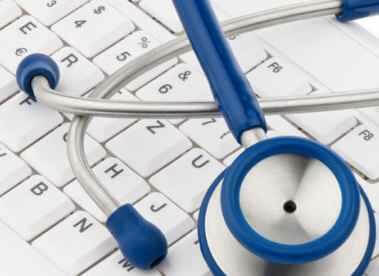 Anyone who wants to earn a Bachelor's in Radiology should compare online degree programs first.